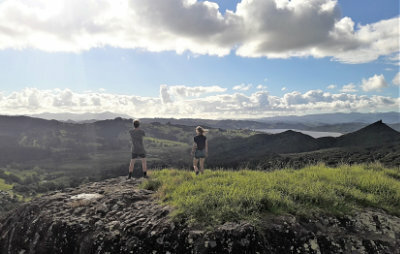 The Wairere Boulders Nature Park is a beautiful area of diverse native bush with awesome rock formations. There are walking trails created around the boulders from 40 minutes to 3 hours. 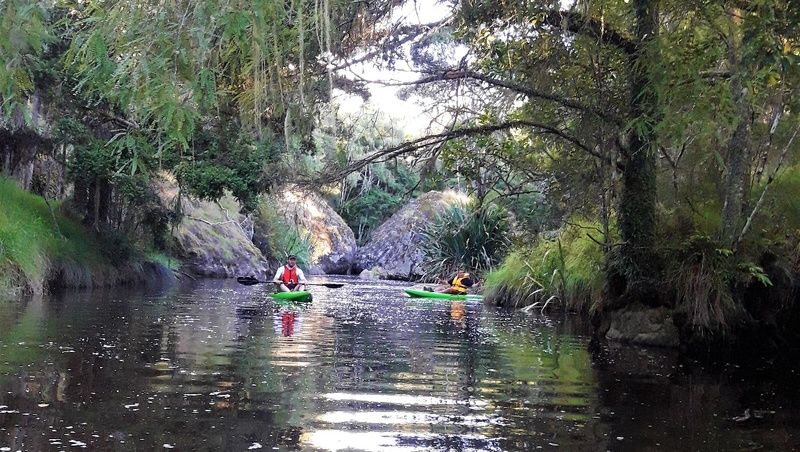 At Wairere Boulders you can tramp to the swimming hole and take a dip, hunt for ‘Boulder Beasts’ with the kids, rent a kayak and meander your way down the boulder stream to the Hokianga habour, or stay overnight in the campsite. Our information shed provides loads of history, geology and details about our amazing flora and fauna, and our little café will serve you coffee and cake, or ice blocks when it’s hot. The geology of the boulders is fascinating. Around 2.8 million years ago a volcano, located around the Kerikeri area, erupted. This eruption was so huge that a basalt lava flow was spread across a massive area, that extended to Horeke. In fact there may have been multiple eruptions that extended this far resulting in a deep basalt layer around 30m thick. This basalt lava flow started to crack as the ground beneath it was eroded over time by the action of rain. The Wairere stream formed, widening the gap below the basalt crust, so more and more chunks of basalt broke off. The boulders started to move towards the valley floor. The underlying soil was clay and as this washed away from under the boulders they moved further down the valley, finally ending up at the valley floor in the river. It has taken the boulders 2.8 million years to get from the top of the hill to the positions they lie in today. Fluting is the name given to the type of erosions we see on our boulders. Fluting is sometimes also known as lapiez or solution pits and is caused by water running across the rock surface. It is most commonly seen on limestone, and it is very rare for basalt to erode this way. 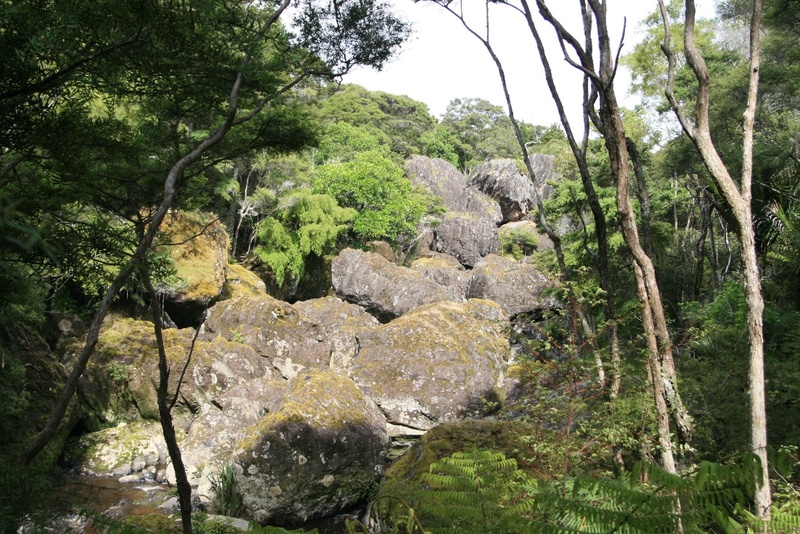 Basalt requires acidic water to cause fluting, and only here at Wairere Boulders, due to special set of circumstances, did the water become acidic enough for the fluting to occur. 2.8 million years ago the whole area would have been covered in thick native bush, with Kauri a prevalent species. The forest would also have been rich in mosses and epiphytes, which have high organic acid levels around their exposed roots. Rainwater washing through the canopy would have turned mildly acidic and then dripped down onto the boulders. The large size of the boulders is another unusual factor which contributed to the unique rock formations. For the fluting to be so marked the boulders need to be of a very large size. These massive lumps of rock would have been slower to roll down the hill, and it is thought they would need to sit in one position for at least 1000 years for a flute to develop. The fluting in different directions on different surfaces of the rocks, shows how they rolled down the valley, exposing different surfaces to the canopy over time. Today you can follow the trails over bridges, stairs and walkways, which take you under, over and around the Boulders, a unique and fun experience for the whole family. 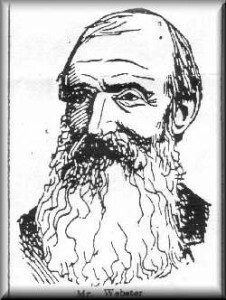 William Webster was born in 1816 in Scotland. In 1839 he left for New Zealand and came on the "Arora" to the Hokianga Harbour. With him he brought machinery for a saw mill which he erected at Wairere. This was New Zealand's first water driven timber mill. Production started in 1845. The "Aurora" loaded up spars for England. A flood damaged his saw mill. The timber business declined and he abandoned operations. 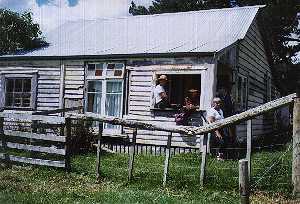 He sold the mill and parts of the machinery was put at Mahurangi in a flour mill. The circular saw etc was sold to Thomas Henderson. The first water driven timber mill in New Zealand was built on the river flats at Wairere. Production started in 1845. They soon had to realise that there was not enough water to run the mill in summer. 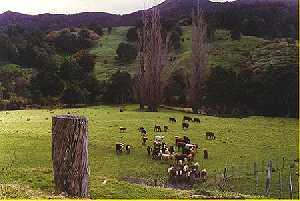 Later the mill from the Heads got shifted to Wairere. The reason for this move was the sand that relentlessly bluntened the saw blades at the Heads.